Jean Josey has been a Dublin resident for nearly two decades and has been an active volunteer and advocate in our community. Starting with providing help to the teacher in her daughter’s co-op preschool class, she has held many diverse leadership roles. She held elected positions on the Parent Faculty Club (PFC) and/or Site Council for each school her children attended, helped to establish by-laws for the PFCs for some of Dublin’s newest elementary schools, served as an assistant soccer coach for the Dublin United Soccer League, led a Girl Scout troop, chaired the long-running Wells Middle School Crab Feed, and co-chaired the Dublin High School Every 15 Minutes program. Jean was also appointed by the current City Council to serve on the City of Dublin’s Fiscal Sustainability Task Force. 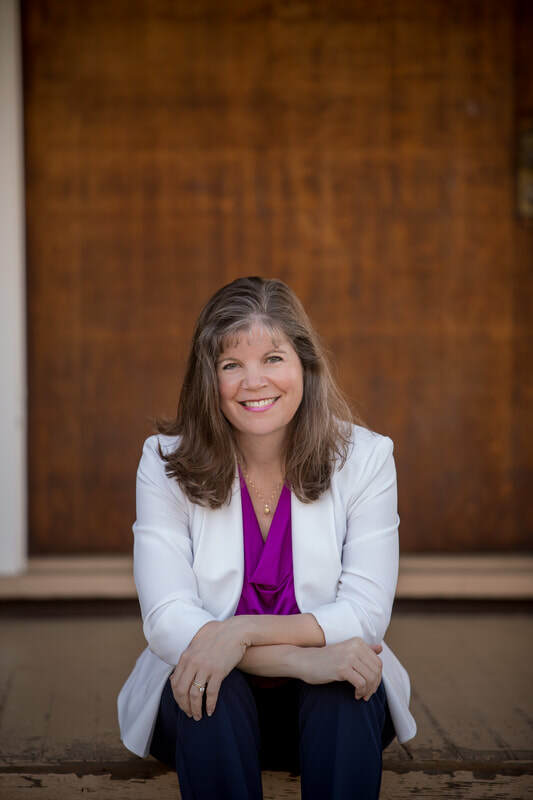 Her volunteer work and leadership in Dublin has earned her the Dublin Unified School District Volunteer Recognition award (2012) and the DUSD Superintendent’s Award (2016). In 2016 Jean was named the Dublin Citizen of the Year. Jean currently works for the Dublin Unified School District as the coordinator of the Dublin High School tutoring program. She grew up in the Washington, D.C. suburbs, and earned her B.S. degree from the University of Washington in Seattle. She and her husband of 24 years have two children, who both graduated from Dublin High and flew the nest to pursue their dreams. 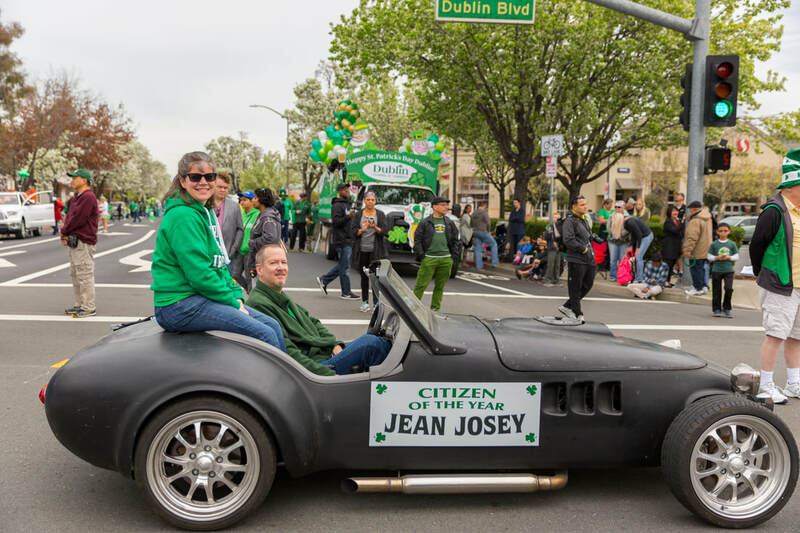 Jean being driven by her husband in the St. Patrick's Day Parade. In addition, for the last several years, Jean has attended almost every School Board and City Council meeting, often speaking about issues that are important to our community. She is up to speed on our city’s current events, and has a long memory for issues that have come up in the past.